I agree that the game reaches its limitations primarily in the AI. When the mechanics are so simplified, the AI algorithm becomes the only source of variety and challenge. 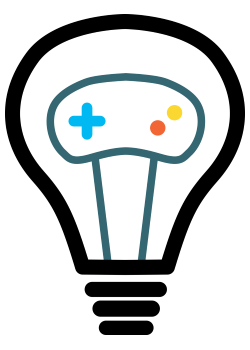 Much of the expert-level game just becomes a matter of managing and exploiting this algorithm so that the two enemies fight each other instead of you. The latter levels still require excellent knowledge and performance to win, but simpler levels (and the game as a whole) turn into, essentially, a puzzle. Auralux was an illuminating attempt to make a completely essentialized RTS. I'm currently prototyping a new game with the same goal in mind, using a flow network as the game's "container". I hope to resolve the inelegant parts of Auralux and get a step closer to real-time Go. Wish me luck! Hi, thanks for taking the time to comment. You're quick with the Google stalking! I totally agree with your assessment of your game's limitations. You're right that the later levels become quite difficult, but the maps don't really grow in strategic complexity as they grow in difficulty. Timimg simply becomes more important as you flank them to pit them against each other. In fact, it sometimes seemed to come down to luck as to what the two opponents did as their first moves. On one map, I can easily win if they make certain first moves, but if one takes the opposite direction first, it becomes too hard to pit them against each other, and I am overwhelmed by shear numbers.) The comparison to puzzles is interesting; perhaps any sufficiently essentialized game type becomes reduced to what we traditionally think of as a puzzle game. I think I'll add a few lines on that above. Did you ever experiment with multiple AIs (defensive, aggressive, cooperative, etc)? It would be interesting to play the same maps with different types of opponents. I also found myself wondering what the game would be like if I could tweak different AI parameters on the same map to see how it affected outcomes more generally. It would almost be a whole other game if you had an AI editing interface (something like sliders for characteristics) and had to achieve certain outcomes in games with just three AIs instead of a human combatant. I never considered doing multiple or configurable AIs for the original game, but that's only because I wanted to keep the project small. I later worked on improving the AI as my college thesis project, though I haven't yet gotten around to coding it in full. If I ever make a sequel, I'm pretty certain it will have multiple AIs, though I'm not sure whether they'll be differentiated by difficulty, or by "personality". As for the "flow network" comment, I mean that the new prototype takes place on a mathematical graph (http://en.wikipedia.org/wiki/Graph_%28mathematics%29). The players control nodes (analogous to the suns in Auralux), which generate "liquid" (analogous to the units in Auralux), which gets pushed to other nodes through predefined pipes. It's essentially another minimalistic RTS, but I'm constraining the action within a more limited framework, and also preventing the player from holding back forces like you can in Auralux. This can make AI and controls a lot simpler, though I'll be losing the free-floating aesthetic that I enjoyed so much in Auralux. That sounds really interesting. Can't wait! One thing I'd like to know, is whether or not upgrading the suns that can be will result in more units per tick of the game clock, or does it simply make the sun harder to capture? Also, was I correct in seeing that the longer a unit is around, the bigger/stronger it becomes? So I know this is a little bit of an older thread, but I'd like to throw my two cents out there. I would like to give a huge shoutout to Mr. McNeill. I am a huge indie game fan and Auralux has become my favorite iOS app I have stumbled upon in a while. Why you ask with batted breath? Because of its simplicity. It takes a very delicate set of feet to walk the tight rope of complexity and accessibility within the mobile game platform (where Auralux (in my humble opinion) is most at home). Where your market ranges from 4 year olds who's parents thought it would be a good idea to buy them an ipod touch, to 65 year olds just learning how to use email for the first time, to nerds like me who eat apps like this up. Erring on the side of simplicity is the ticket! Although the AI's play is sporadic at times as Evan pointed out, it makes the game play all the more interesting. Now for a million dollar idea. As a lover of science fiction, I have recently run into an author by the name of Orson Scott Card, a giant in science fiction literature. And if your familiar with his books, most of the battle school games that are described in Card's book Ender's Game, pretty much play out exactly like Auralux. While playing Auralux, I found myself imagining myself as the big-wig operator calling the shots from for an interplanetary war with the dots being the battle ships. While the opponents ships being attributed to the "buggers". Let me throw this out there. If there is anyway Mr. McNeill could touch base with Orson Scott Card's legal team and find some way to attach the theory and execution of this game with a Ender's Game theme, you would have literally millions of buyers who would saw off their left arm to be able to play out the last, iconic battle between the humans and buggers. If this has not crossed your mind before, allow it to. Because the attaching of this great game to the context of an engrossing story and giving it thematic material could turn this indie game into a cross-literary work of art. Seriously, people would loose their cool if they knew something like that was out there. And with the nearing release of the movie, there is already HUGE hype stirring for something like this. Great game Mr. McNeill, and great points that could be addressed Mr. Evan. Thank you for sharing your thoughts with us all. I immediately thought of Emders Game as well. 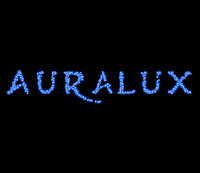 Likewise thought of Ender's Game when I started playing and would totally be geeked out if it had the branding (not that Auralux is a bad name of course :). Bought all the expansions and played through most all the levels (with 6 or so left to beat) before I found out you -can- have an army but control no stars as long as it's big enough to capture another star. Anyway, just wanted to say here that I love the game too and recommend it highly, looking forward to your future endeavors!